Just fill out the form below, and we can start planning your session today! Cindy White Photography is a one of Culpeper and Northern Virginia's most sought after newborn, baby, child and family photographers. Having photographed hundreds of babies, kids and families, Cindy's relaxed, personable and customized approach makes her a top choice for families when looking for pictures. Her goal for each and every session is to provide clients with beautiful portrait art to showcase throughout their homes. 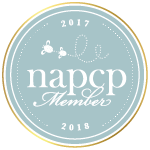 Cindy is member of the Professional Photographers of America: PPA and endorsed by National Association of Professional Child Photographers. A look into my life on Instagram! Cindy White has spent many years living and working in the Northern Virignia area, and now CWP is based out of her studio in Culpeper, VA. Being both a studio and on-location newborn, children and family fine art photographer means that CWP can travel all over the Shenandoah and Northern Virginia areas. CWP serves families in Culpeper, Orange, Charlottesville, Warrenton, Fredericksburg, Stafford, Haymarket, Gainesville, Bristow, Locust Grove, and other locations in the Washington DC metro area. If you’re located anywhere in the Charlottesville or Northern VA area, please contact Cindy about your newborn, children and family photography needs.